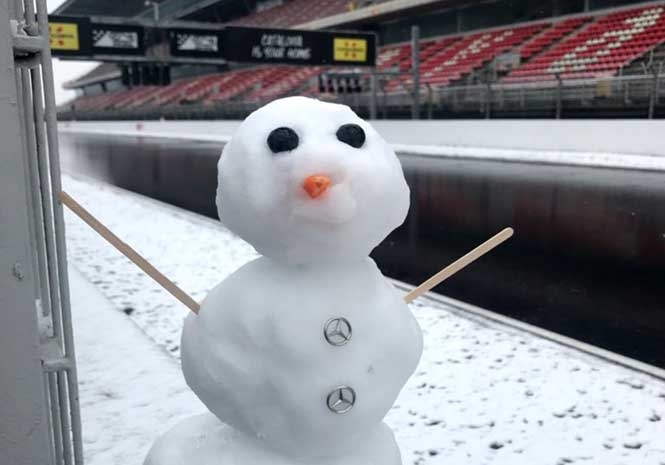 THE third day of F1 winter testing in Spain has been delayed because of snow at the Circuit de Catalunya-Barcelona. Cars have stayed in the garages and organisers have said that the red flag on the track would remain in place until visibility cleared and it was safe for the medical helicopter to fly. Cold weather has already affected the first two days of testing as the track remained cold without enough grip for proper runs. There will be another test session in Barcelona from March 6-9 and then the season proper gets the green light in Australia on March 25.